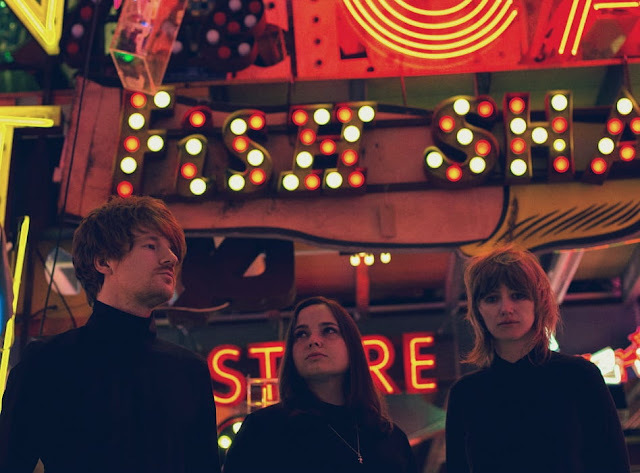 London based synth-pop trio Everything by Electricity have just unveiled their debut single, Last Day Of The Sun, and it is a lovely dreampop piece! Here we are presented with lush pop beats, infectious guitars and synths, dreamy atmospheric melodies accompanied by sweet vocals, anchored tight by pulsing bass, throbbing drums and drum machines. Stream it below! The band’s sound is littered with the strains of alienation and longing for escape one would expect from childhoods spent gazing across cold barren landscapes deep behind the iron curtain. On moving from Siberia to London, Yulia(guitar, synths, vocals) quietly crafted a collection of demo material in her bedroom studio and expanded the live line-up with the addition of Daniel (bass guitar, synths) and Manoela(drums, pads).